Beyond the Hay Day's Study Guide Supplement is ideal for teachers and 4-H advisors. 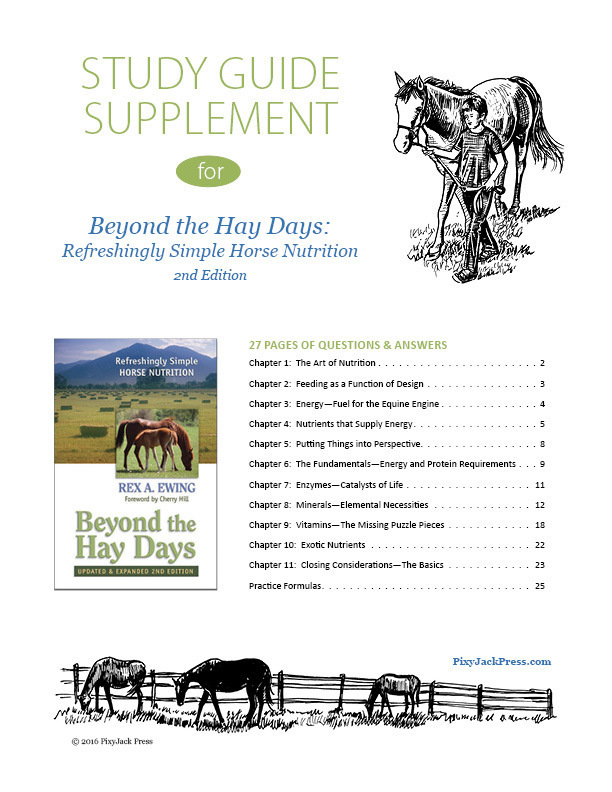 It includes 130 questions plus practice formulas for calculating feed rations. After you place your order, you will receive an email with a link to download the PDF file.